Serving on a board of directors is a learned skill and an art. Successful boards get that way by learning to ask the right questions and then applying an appropriate answer to their nonprofit’s unique circumstances. To be effective requires a board to know and understand their nonprofit and the environment in which it operates. Thus, a board must engage in learning as a core competency. There are three broad areas which a board must learn: leadership and management, stewardship of resources, and public responsibilities. These overlapping and intertwined areas are embedded in nearly every significant issue that comes before board. The board’s first responsibility is to lead. Effective boards do so explicitly through strategic and management direction and implicitly through modeling clear purpose. Board members lead first and foremost by their personal and collective example. Their actions set the tone and direction for the organization. A board of directors has the legal duty to manage the affairs of the corporation. For an organization with staff, this occurs when a board delegates the authority to act on its behalf to its senior executive. Once authority is delegated, the board manages through its senior executive. This requires establishing perfor­mance expectations and holding the senior executive responsible to accomplish them. While the board may delegate its authority, the board can never delegate the responsibility for what occurs as a result of its delegation of authority. They are the body legally accountable for the organization. Stewardship is a board’s moral commitment and responsibility to its stakeholders and community at large. The board is entrusted with assets derived from others. During their tenure board members have the respon­sibility to manage those assets with absolute integrity. At the same time, the board is expected to use these assets effectively for the benefit of others. Finally, the board is accountable for how (and how well) it has deployed the assets entrusted to its care. Good stewardship may require that the board maintain a higher standard than what is legally required in a given situation—and a high performing and ethical board seeks to maintain the highest of standards. As stewards, boards are responsible for many different types of nonprofit resources (also called organizational capital). A nonprofit’s organizational capital consists of that unique combination of resources which result in its competitive advantage and ability to survive and thrive. Key resources include the nonprofit’s culture; integrity and reputation; human capital; social and political capital; intellectual and knowledge capital; program relevance and efficacy; and financial capital. Too often when a board focuses on fundraising (i.e. acquiring financial capital) it fails to recognize its financial statements are lagging indicators of how well the nonprofit uses all of its organizational capital. Good stewardship and proper financial management require financial literacy, but the board must steward all elements of organizational capital. Most board members have had a basic introduction to the board’s three legal duties: to act in good faith and with the dual duties of care and loyalty throughout their board tenure. What these duties mean in a given situation may challenge a member and the board. If violated, they become the source of significant problems for both. Laws at the local, state, federal, and international level (for those organizations that reach beyond U.S. borders) also affect many board decisions and nonprofit actions. Most board members lack the technical and professional expertise to know these two areas and are well advised to retain experienced and independent outside counsel to advise them whenever legal matters arise. In addition to its legal duties, the board also has a public responsibility on behalf of its nonprofit to sustain and improve the value stakeholders and the general public place on the organization. Stakeholders have both explicit and implicit expectations. Fulfilling stakeholder and public expectations provide for the nonprofit’s continuing relevance and existence. Finally, a board always operates in the court of public opinion. Increasing transparency and rising public awareness and expectations for a nonprofit and its board present continuous challenges. Boards often are one incident away from this court. This is another reason why a board should establish and maintain the highest professional and ethical standards (an aspect of stewardship described above). An effective board first determines how best to use its members’ skills and knowledge by systematically engaging in deep learning about its nonprofit’s needs and capacity to fulfill its mission. It then establishes priorities and secures resources to meet them. This is the essence of a board’s responsibility to manage its nonprofit. No board knows everything needed to handle its three core areas (leadership, stewardship, and public responsibility). With skill and knowledge gaps identified, the board can avail itself of many learning opportunities. There are nonprofit programs offered by nonprofit associations, universities and community colleges, IRS resources, and webinars. Consultants and trainers can provide individualized board training programs. Publications, articles, and websites offer useful reference materials. External professionals can provide a board with needed expertise. Board members can also teach one another about topics affecting their nonprofit. Many boards set aside a portion of each meeting for some educational activity—either learning about the organization itself or about skills that deepen its leadership, stewardship, and public responsibilities. A board must remain relevant and effective if their nonprofit is to succeed and thrive. Ultimately, effective nonprofit boards realize learning must be their core competency. Their devotion of time and resources to education pays off in a better functioning board—and a better operating nonprofit. This story was first posted by First Nonprofit Foundation. 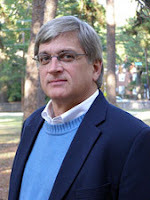 Marty Martin, J.D., M.P.A., of Martin Law Firm in Raleigh provides legal services and training related to nonprofit and tax exempt organizations. He recently presented a webinar for Philanthropy Journal titled “How to Start a Nonprofit: A Step by Step Guide.” It is available for download at our webinar archive.